Map of Tikal Park - Jungle Lodge hotel was right in the middle of it all. 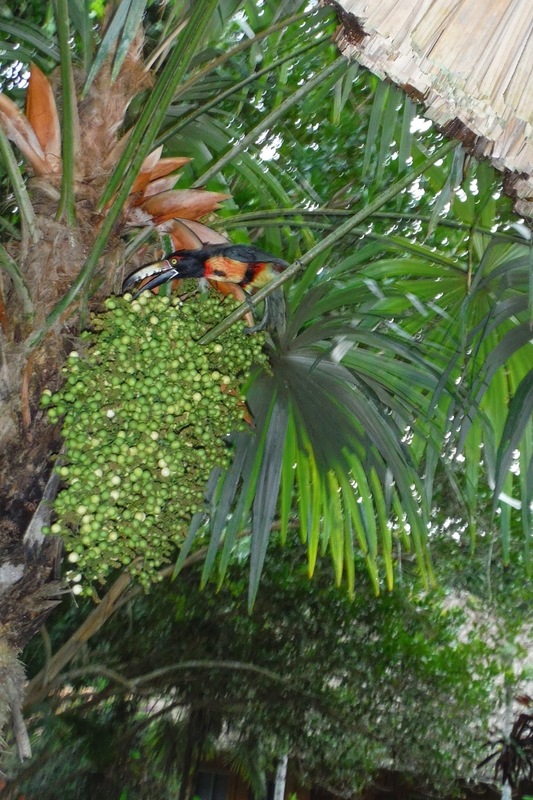 We took the afternoon flight from Guatemala City to Flores and then an hour shuttle to the Jungle Lodge in Tikal. The lodge was rustic and nothing to write home about, but the location couldn't be beat. We were inside the "park" and in the middle of the jungle. 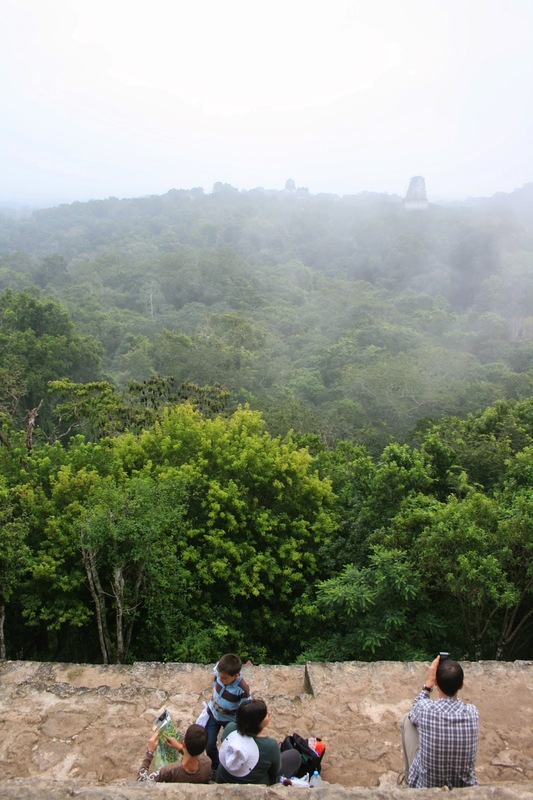 The weather was much closer to what I was anticipating for Guatemala with a ton of humidity and accompanying mosquitos. I think I got dozens of bites just in the 10 meter walk from the restaurant to our room. We listened to the sounds of the jungle and then headed to bed because we had an early start the next day. 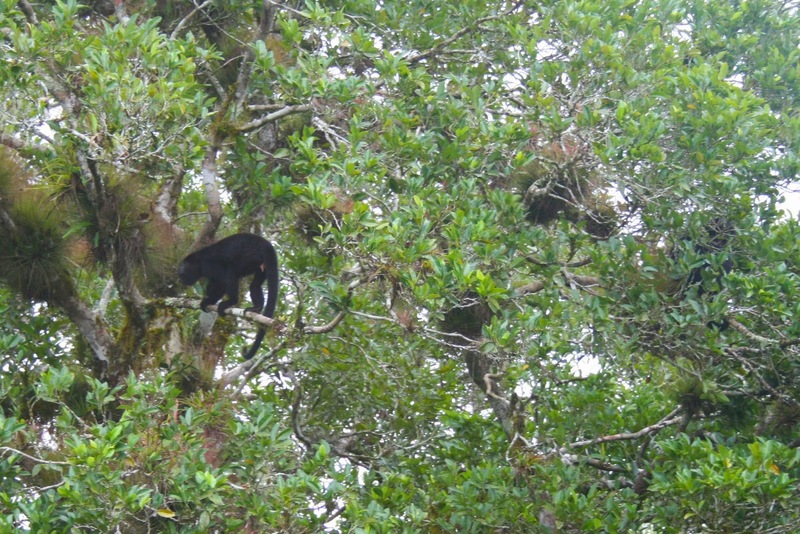 Monkeys in the trees of Tikal - don't look up! We were rewarded for our early start with a quiet park and few others wandering around. Unfortunately it was overcast with some low hanging clouds which lingered all day...but at least we didn't wake up at 4:30am for the "sunrise" tour, as there was no discernible sunrise to be had anyway! 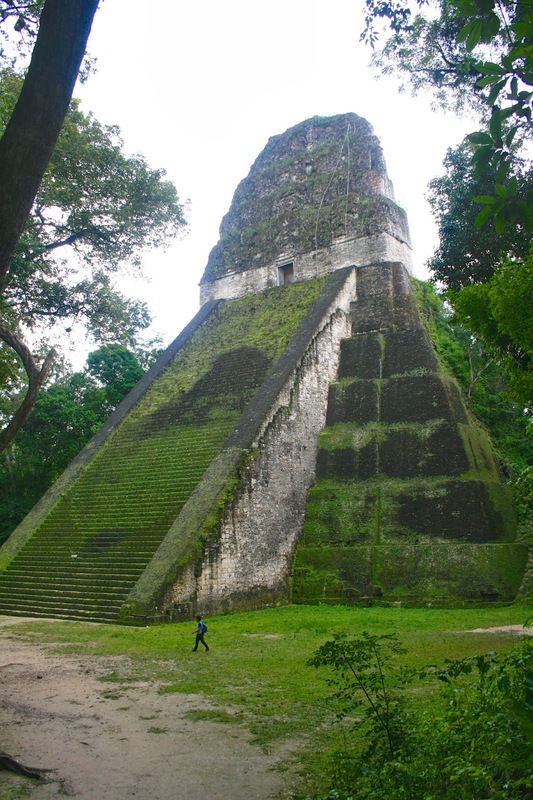 Tikal was one of the largest Mayan cities and boasts dozens of well-preserved temples and structures. Templo I (above) is one of the largest and stands 154 feet tall. It was built around 750A.D. and was the tomb of Jasaw Chan K'awil. The structures are in such great shape that it’s hard to imagine that they were built that long ago. We visited about half the park, climbed over the ruins and watched the monkeys before heading back to our hotel for the free breakfast and a nap before we had to check out at 1:00pm. This seemed like a pretty efficient way to see the park and get some sleep in between, again taking advantage of having a hotel room in the park. After checking out we headed back out to tour the other half the park. 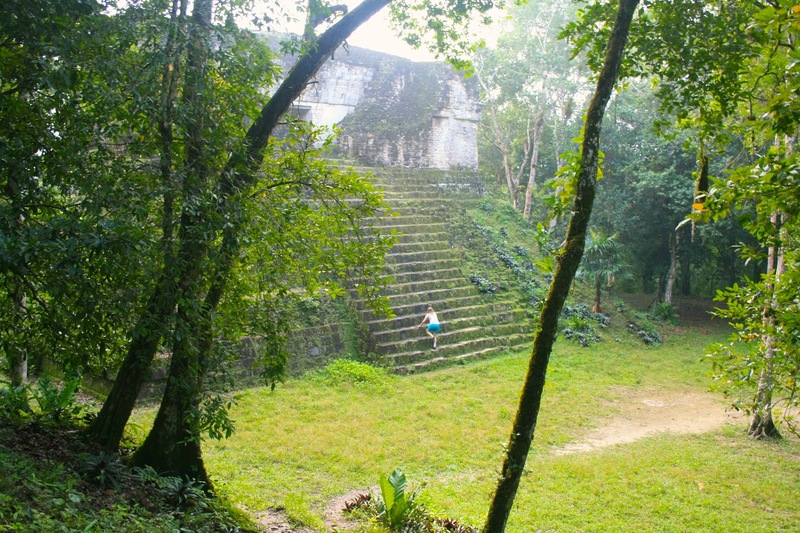 Despite it being a Saturday during high season, the park never seemed all that crowded to us...at most of the outer ring temples and ruins, we had the place pretty much to ourselves. 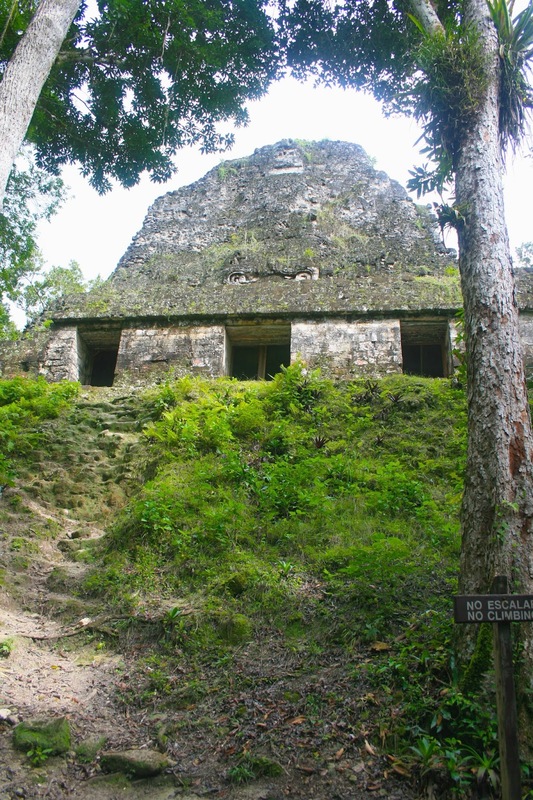 We didn't hire a guide for any portion of our day, instead saving relevant web pages on Tikal to the iPad and reading those as we visited each section. Some of the of the paths around the outside ring were pretty decent walks between seeing anything or any person, and you could even see some ruins that were yet to be excavated, still looking like a hill of dirt and rocks with trees growing out of it. After a long day of walking, we returned to our hotel where we had arranged for private transportation to the Belize border. The trip took about 2 hours, alternating between paved and unpaved roads. When we got to the border, our driver was happy to help us spend our last Quetzals and show us how to cross the border. 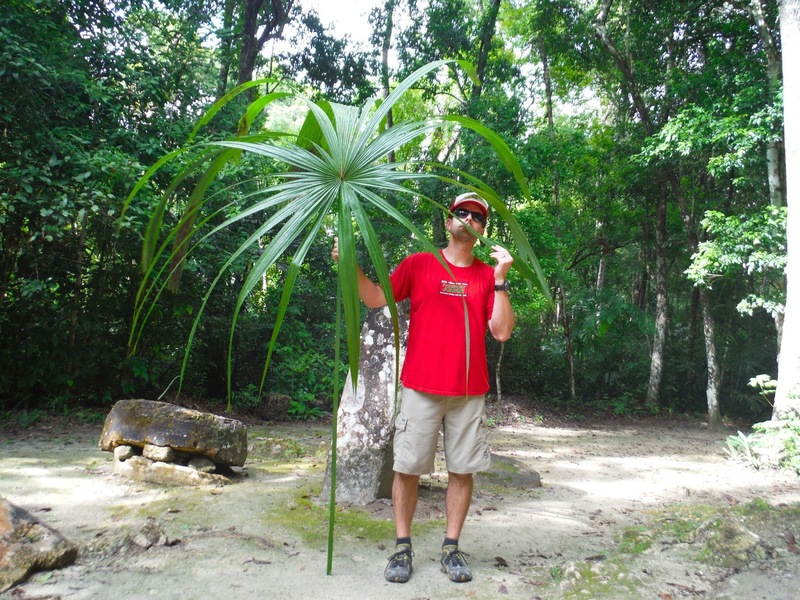 We entered Belize without any fanfare and grabbed a “cab” to San Ignacio.